This summer I was reading a book called The Wayfinders: Why Ancient Wisdom Matters in a Modern World by my favorite author and rock-star anthropologist Wade Davis. He wrote a whole chapter dedicated to the ancient Polynesian seafaring people who navigated the Pacific using the stars and when they didn't have the stars they listened and decoded the waves to keep them on the right path. I was immediately intrigued. Even more interesting was that a group of modern Polynesians replicated the canoe and used these same techniques to successfully sail from Hawaii to Tahiti a mere few years ago. I would give my right arm to meet someone who carries such knowledge. Life is strange. Keep reading. An invite to the Ritz Carlton Kapalua Wellness week landed in my inbox recently and I jumped at the idea of sunrise hikes, workout classes and deliciously healthy island food. If I was lucky, they said, I may even get to speak with Clifford, their resident cultural advisor and native Hawaiian, about the property and the story of the sacred land surrounding the property. Sold. I successfully convinced Marianna to join me on the adventure and packed up for the long flight from NYC to Maui. The first few days were amazing. I met some great people, did a bunch of great workouts with the trainers they picked to come for the wellness week and tried to get an understanding of what Maui was about....not the Americanized version of Maui but the true spirit of Hawaii and what it was that made the people and the land there so special. I did, in fact, meet Clifford. He joined us for dinner, I asked a ton of questions. He came by the next morning at breakfast, I asked a ton of questions. Then, as if we passed through the first tiny door of trust, he offered to give us a tour of the burial site that separated the hotel from the beach. No one is allowed on the area unless escorted. Clifford performed a beautiful ritual song in Hawaiian to introduce us to his ancestors and asked the wind, the mountains, the sky and water for permission for us to enter. What happened in those moments I will forever keep sacred. I will say, though, that it was incredibly powerful and my natural instincts were somehow able to pick up on the subtle spiritual vibrations of the moment. This is something that his people lived for years doing and that most of us will never know because we are so distracted. He continued the tour telling us tales about the land and told us a story of how he recently, a few years back, sailed on a replica canoe from Hawaii to Tahiti using only the stars and sea to navigate. My eyes nearly popped out of my head. It was destined that we meet. The story gets better. We (Marianna, me and Krista) had planned to take the Road to Hana journey. We rented a jeep, tried to Pinterest our way through preparing, and as we were discussing our plans another tiny door of trust swung open. Clifford offered to take us on the road to Hana. The next thing we knew we were top down cruising our way through the Hana Highway where I had over 8 hours to ask every question I've ever wanted to know about another culture that I could possibly ask. A lot of these questions had nothing to do with wellness or health or anything that I really write about but my inner soul (and geek) was just so curious to learn. 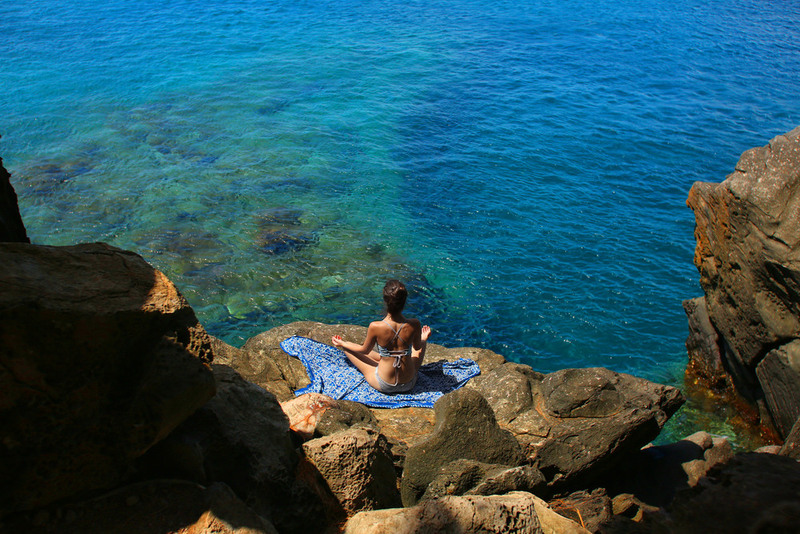 The longer I spent on Maui the longer I felt like we didn't belong there. Not myself, but we as in the country, the U.S. The Hawaiians have such an incredible history that is so unique and so connected to nature. On our trip, Clifford named many trees and flowers and their respective meanings and functions to the island and the people. He picked some wild ginger flower and explained to me that if the root tastes sweet, it should be used topically. If it's bitter, it is to be ingested. We kept the fragrant flower on our dashboard and continued on. Through the winding roads, bamboo forest hikes, black sand beaches and interesting stop-offs we made the journey to Hana. I ended up barefoot, covered in mud and blissfully happy. Sometimes a healthy trip doesn't need to be a super expensive retreat but a connection so far back to nature that you delight in the feeling of your bare feet sinking into the earth. There's a lot of wisdom to be shared and remembered, and that in itself, is a spiritual, healthy adventure for the soul. 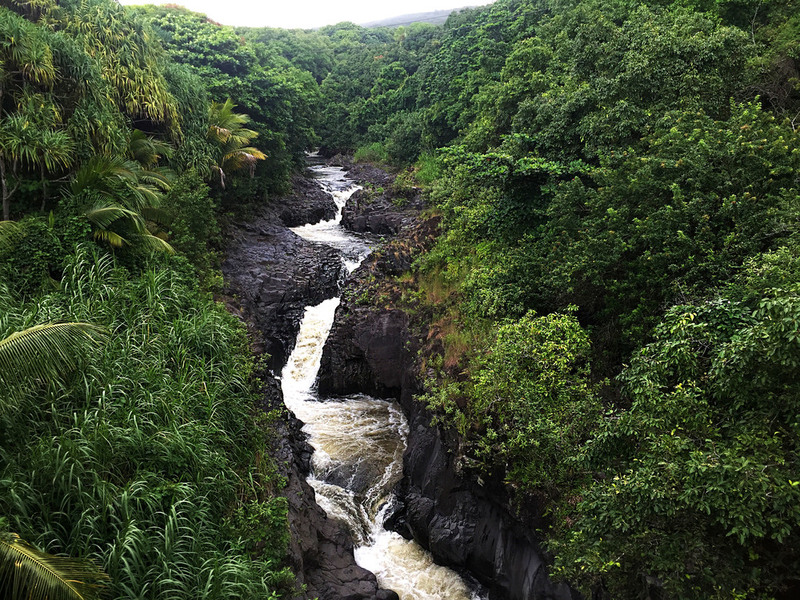 All of that said, here are my road to Hana tips if you decide to take the journey. If you do, I hope you stay as connected to the land as possible and really absorb every little tiny detail of this vast, varied landscape. Hawaii was so remote that the only animals were birds and seals. Birds grew nests on the floor and flowers had no thorns because there were no predators. It was, and still is, paradise. Stop in the town of Paia on the way up to the road. It has great surf breaks but beware, there's a 15 foot Tiger shark that roams these waters. Hike the bamboo forest. There's an entrance near Twin Falls but we skipped that entrance and went a few more feet up the road and entered the bamboo from the tiny trails off the side of the road. Twin falls gets super crowded. Look out for the donation based fresh fruit stands. Coconut Glen's is awesome too. He sells coconut candy and fresh coconut water in a super crazy looking hut. Stop off at Keanae Peninsula, grab a loaf of banana bread at Aunt Sandy's and pay respects to the church that was the only thing left standing when a tsunami came. There are really rough lava rocks and waves here and the scenery is filled with taro fields and gorgeous, hazy palms. 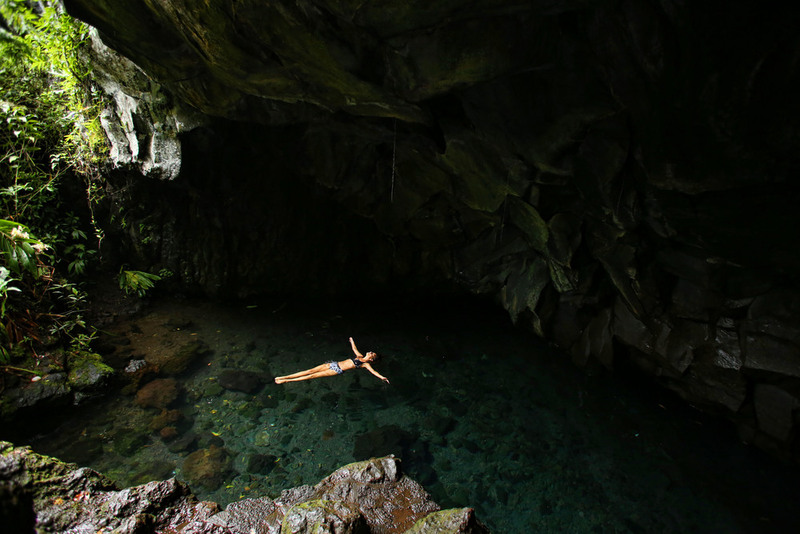 Search for the hidden Wai'anapanapa caves and float in the cool, crystal clear, spring-fed water. Look for the black sand beach near Hamoa Bay. It's less crowded and feels more secluded than the usuals. Once people get to Hana they usually turn back around making the trecherous drive back. We continued on looping back around the whole island of Maui. There back of the crater slopes down into rand land where it's so remote that you really feel what Maui was like before it was developed. If you stay at the Ritz Carlton look out for the labyrinth hidden somewhere around the property. Labyrinths are interesting as you are not technically supposed to seek them out, they are supposed to find you. Only when you truly need to be centered will the labyrinth reveal itself. A lot of people don't respect the local Hawaiian culture or care to learn so Clifford made the labyrinth so people will at least see something familiar and find themselves centered while they are near the sacred site. Also make sure you find the healthy breakfast buffet that offers coconut yogurt with chia, sunflower, hemp, and pumpkin seed. It's amazing! As always, I have tons more to share! I'm planning a trip back soon to meet a local medicine man who holds a lot of old wisdom on the healing power of plants and I'm really excited to brings some of that knowledge to you all!